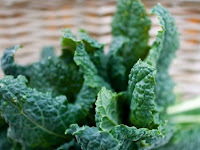 Good Stuff NW: All Hail, Kale! Kale chips? I'd love it if you could report back. And if it works, include the recipe!